And Help Athletes Develop Mental Toughness! Get expert training in mental game coaching and proven mental training tools to help your athletes improve confidence and success in sports with Dr. Cohn’s unique MGCP mental coach certification program. If you are a sports psychologist in training, sports coach, life coach, therapist or psychologist, we can teach you how to improve mental toughness in athletes! 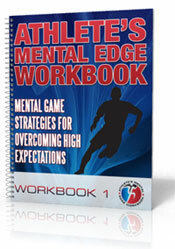 Learn Dr. Cohn’s proven mental coaching system for instilling confidence and success in athletes! You’ll tap into Dr. Cohn’s 25 years of experience as a mental game coach to junior to professional athletes. A one-of-a-kind mental coach certification course, the Mental Game Coaching Professional (MGCP) program teaches you how to assess athletes mental game and teach mental toughness skills to athletes 10 years and up. In addition to being licensed to use Dr. Cohn’s AMAP mental game assessment, participants will receive his video case studies, sessions summaries, mental training worksheets, and more! In the 10-week mental coach certification course, you meet with other mental coaching professionals and Dr. Cohn live via video conference technology to discuss what’s working with athletes today. You will get practical, expert mental coach training in the course as you learn how to do mental game assessments, teach mental training strategies to athletes, and respond to over 20 case studies in the course. Apply today to the MGCP certification program and learn the secrets to being an effective Mental Game Coaching Professional.